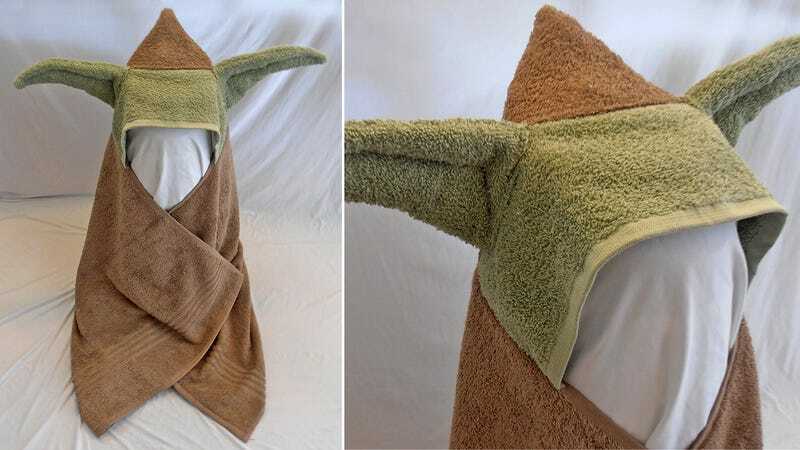 Though completely twisted towards evil by the dark side of the Force, even Emperor Palpatine would find it hard to resist cracking a smile at Etsy seller MiddleBrainedCanvas' adorable Yoda-inspired hooded bath towel. Toyland: We love toys. Join us on Facebook or follow us on Twitter.